Last week we spoke about coconut oil in general - It's composition and benefits. Today, we're having a closer look at how to incorporate its amazing benefits into your beauty routine. Use coconut oil as an ointment by melting a small amount in the palm of your hands and applying a thin layer to the skin. The oil needs a few minutes to absorb into the skin. We all look forward to those long summer days of lazying around in the scorching sun. More often than not, our skin ends up getting burnt. Coconut oil soothes and calms sunburns, or any mild wounds for that matter because it supports the skin's own self-healing process. Just remember to apply the oil regularly. 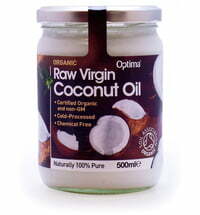 Applying coconut oil to your skin is also beneficial in helping to fight cellulite and stretch marks in the long run. Coconut oil and antimicrobial properties, which means that it prevents increasing odour-causing bacteria, making it a great deodorant alternative. A thin layer applied under the arms will do the trick. Like skin, our hair is exposed to the elements. During summer it deals with the effects of UV rays, chlorine and salt water whereas winter brings along with it air-conditioned rooms and headgear. Hair styling tools such as hair dryers and flat irons. Which ever way you look at it, hair is bound to endure damage, which in turn leads to split ends, hair breakage blunt hair. Coconut oil cares for weak hair, restoring its resistance while also balancing a very dry or very oily scalp. Massage a small amount into clean, towel-dried hair once a week. Leave to do its magic for at least an hour or overnight and shampoo as usual in the morning. Wrap a towel around your hair to protect your sheets. Out of hair wax? Not to worry, simply style your hair with a small amount of coconut oil. Once the oil cools, it takes on its solid form, giving you great hold. Facial skin is up to seven times thinner than the skin on our bodies, making it more susceptible to the elements. Coconut oil can offer added care due to its valuable properties. Because coconut oil has antibacterial, antiviral and anti-inflammatory properties it has a positive effect on skin that is prone to acne, blemishes and even herpes. 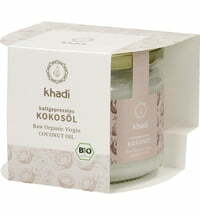 Gently cleanse the skin, dip a cotton swab in the coconut. Carefully dab the coconut oil on the affected areas of the skin. The numerous vitamins, minerals, antioxidants and other nutrient substances that are contained in coconut oil firm and soften the skin. The appearance of wrinkles is counteracted when a small amount of coconut oil is applied to the affected areas of the skin. Coconut oil can be used as a make-up remover. Melt a small portion in the palm of your hands, gentle distribute on the skin of the face and gently wipe away make-up with a cotton pad. Pamper cracked and dry lips with a dose of coconut oil instead of a lip balm. It has the advantage that no paraffin oils or silicone is swallowed. And here's an extra tip for the gentlemen: the soothing effects of coconut oil can help soothe the skin after shaving, and makes for a gentle yet effective after shave alternative. Puffiness & Dark Circles Be Gone? !